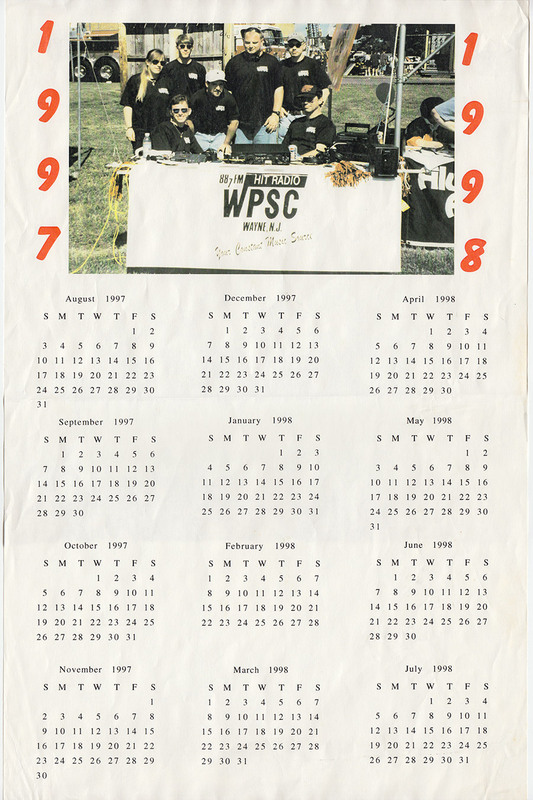 The WPSC-FM Wall Calendar for the 1997-1998 school year. The photo was taken at Wayne Day in 1997 and features the "Hit Patrol" for that day. From left to right are Peg Zorovich, Johnny P (seated), Mike Bonte (standing), Maxie On The Mic, Mike Barker, Mike Gavin, and John Kiernan. It's kind of ironic that this calendar goes out to July 1998... the station did not survive that long and was shut down in June, 1998.